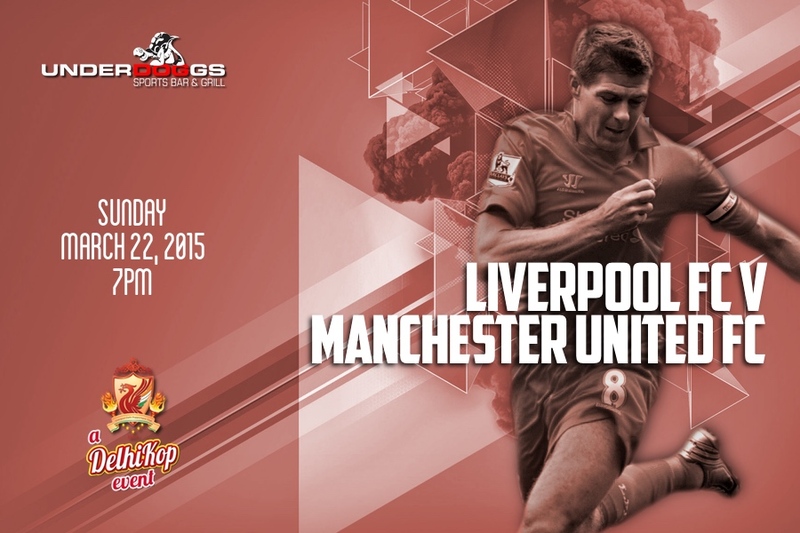 DelhiKop Match Screening: Liverpool v Manchester United! We have been Premier League’s form team since Christmas – we’ve been Premier League’s form supporters since forever! With 9 fixtures to go, the wind in our sails and a Champions league spot up for grabs this game will be as dramatic as it gets. Of course, playing United is a big game nonetheless! We’re going to back to Underdoggs in Vasant Kunj – the venue for some of our biggest screenings last season. 2. Rs.300 cover charge redeemable against whatever you purchase at the venue. Please note that to be a ‘guest of DelhiKop’, i.e. to avail of the above offers and to be seated among LFC fans, registration in form below is mandatory. Also, this service is for LFC fans only and to avoid other clubs’ fans, we’ve made it mandatory for Liverpool fans to be dressed in Liverpool attire – if you don’t have a jersey, an LFC t-shirt is good enough. Even a Liverpool scarf around your neck will do. Fans not registered and not in Liverpool attire would be treated as Underdoggs’ regular guests – would not be offered discounted rates, would not be seated among LFC fans, and, would have to pay the day-specific entry charge at Underdoggs (Rs500 cover). Venue: Underdoggs Sports Bar, Ambience mall, Vasant Kunj.